The best warmth for weight of any jacket we’ve ever built, the Micro Puff® Jacket delivers ultralightweight, water-resistant, down-like warmth with PlumaFill synthetic insulation–a revolutionary featherlight down alternative. 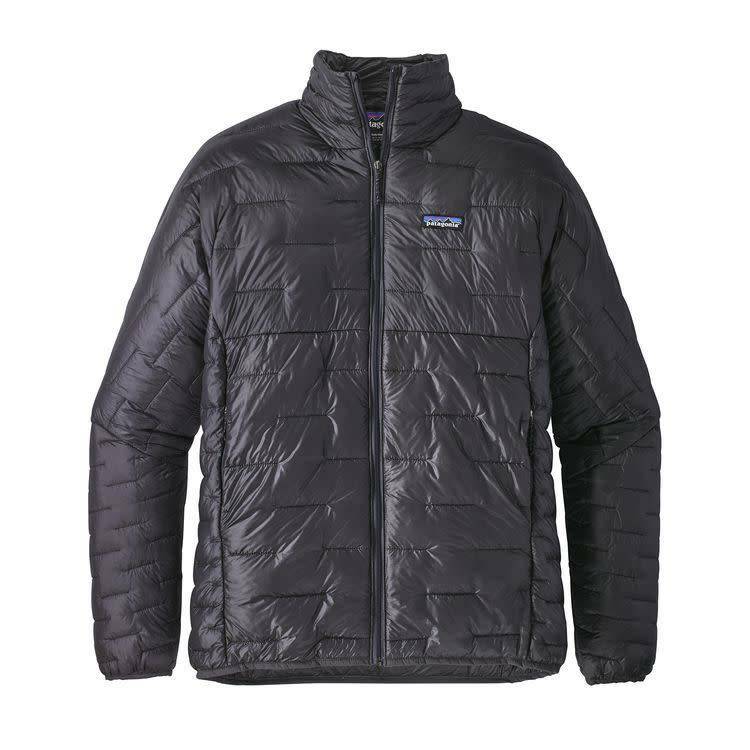 It’s like down, only better—our Micro Puff® Jacket uses a revolutionary, feather-soft synthetic insulation with an unprecedented warmth-to-weight ratio. The groundbreaking PlumaFill insulation (65-g 100% polyester) is phenomenally light and compressible, offering down-level warmth that still traps your heat when it’s wet. A nylon ripstop Pertex Quantum® shell, with a DWR (durable water repellent) finish, blocks wind and snow. The garment’s design maximizes performance and minimizes useless fluff. Features: zippered handwarmer pockets (the left pocket doubles as a stuffsack with a reinforced carabiner clip-in loop), a pair of sleek internal drop-in pockets (made without excess, using the backside of the handwarmer pocket bags), and elasticized cuffs and hem.